Obesity: Do vitamin D and sunlight have a part? A new study shows that when vitamin D-deficient pregnant women bear children, the children may become obese. Furthermore, the children had larger waistlines at age 6, compared with children born to women who had sufficient vitamin D levels. The body-fat percentage of those born to vitamin D- deficient women was also significantly higher. Body fat-percentage is a measure of obesity (or lack thereof). 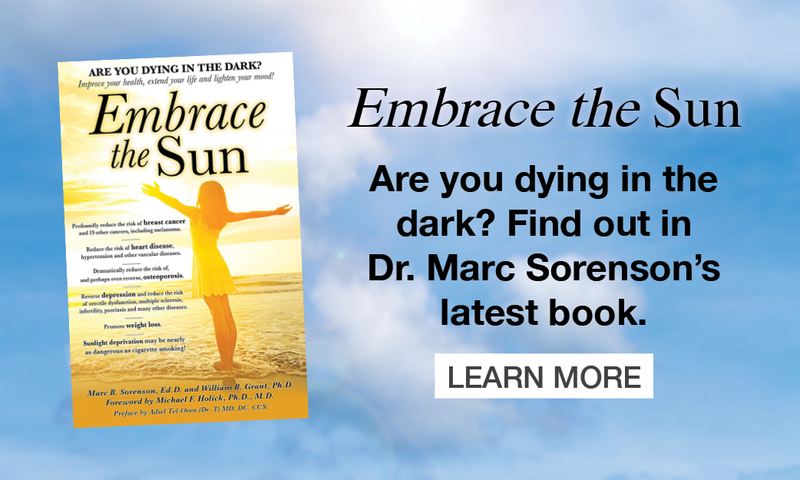 The authors stated that 95% of vitamin D production in the body comes from sun exposure to skin. That is correct. Consequently, the expectant mothers spend too much time indoors. Or, they are frightened into sunscreen use, which can prevent production of 99% of vitamin D by sun exposure. Therefore, this type of obesity is a sun-deprivation disease. The research suggested that vitamin D supplements might be the answer. However, the answer is not supplements when sunlight is available. We should promote safe, non-burning sun exposure to prevent obesity. Secondly, early-morning light, because it resets circadian rhythms, reduces the risk of weight-gain. Thirdly, exposure to ultraviolet radiation (one of the spectrums in sun exposure) has been shown to impressively reduce weight gain in mice on a high-fat diet. Especially relevant is the fact that vitamin D levels made no difference in the weight of the animals. In conclusion, non-burning sun exposure is vitally important to human health. If you would like to have a fat content that is less than others, be sure to obtain your share or sunshine and make weight-control for you and your children much easier! Obesity: Do vitamin D and sunlight have a part? A new study shows that when vitamin D deficient pregnant women bear children, the children may become obese. Furthermore, the children had larger waistlines at age 6, compared with children born to women who had sufficient vitamin D levels. The body-fat percentage of those born to vitamin D- deficient women was also significantly higher. Body fat-percentage is a measure of obesity (or lack thereof). How is vitamin D produced? Are there other studies regarding sunlight and obesity? We have discussed in previous blogs the association of sunlight deficiency during women’s pregnancies and the subsequent risk of profoundly increased autism in their children. Therefore, similar results with cancer are not surprising. Safe, non-burning sun exposure has positive effects on at least 100 of the most frightening diseases, many of which will be discussed in my upcoming book that is coauthored by Dr. William B. Grant, and entitled Embrace the Sun. Children, even babies, need at least some sun exposure. And children, if they do not get outdoors in the sun are also subject to a remarkable increase in the risk of myopia. Take care of your children. Be sure that they play in the sunlight each day, without sunscreen. If any reddening occurs, put them in the shade or cover them up. But don’t deny them their share of sunshine; if you do, their risk of childhood cancers may increase. Lombardi C, Heck JE, Cockburn M, Ritz B. Solar UV radiation and cancer in young children. Cancer Epidemiol Biomarkers Prev. 2013 Jun;22(6):1118-28. The medical properties are terrific! A new study from the University of Kansas demonstrates that children born to women who receive more sun exposure during the second trimester of pregnancy, have a considerably lowered risk of asthma later in life. The researchers did not look at sunny geographical areas vs. areas of little sun to make their assessments, but rather looked at different amounts of sunlight occurring in the same areas in different years. They found that in areas that had experienced high quantities of sun in a given year, the risk of asthmatic children being born in that year was reduced, that is, if their mothers experienced that sun exposure during the second trimester of pregnancy. The researchers theorized that higher levels of vitamin D during sunny times accounted for the protective effects of sunlight. That may be true, but the protection may have occurred from sun exposure per se, independent of vitamin D. One of the most recent studies on factors that contribute to asthma showed that living in a room without windows was associated with an increased the risk of asthma of 930%, and living in an area without adequate sun was associated with an increased the risk of 220%. Considering that windows filter out the UVB light that stimulates the production of vitamin D, having windows could not have reduced asthma by vitamin D production—it had to be some other factor—something that entered the room through that window glass–protected the people with windows from the remarkable increase in asthma they would have otherwise had. We know that UVA light, which does pass through windows, stimulates the production of nitric oxide, which is a potent vasodilator. Could it also be a bronchodilator? This explanation, of course, is theory. Whatever the reason, the study on sunlight and pregnancy is just one of many that have indicated a protective effect of sun exposure against asthma. Safely embrace the sun, and tell pregnant mothers to do the same. It could enhance the quality of life for their children later on, and reduce the cost of health care for all of us. We have covered the affect to sunlight and diabetes several times, but most of the posts focused on type-2, which is the more common of the two and is becoming a pandemic. Type-2 results when the body produces plenty of insulin, but becomes resistant to its effects, leaving both blood sugar and insulin elevated. Type-1 diabetes is a totally different disease, although high blood sugar is still the result. Both of these diseases, however, correlate to low sunlight exposure. Type-2 is usually caused by atrocious eating habits and obesity, but sunlight deficiency associates with its risk. Either way, these diseases can lead to blindness, erectile dysfunction, neuropathy, heart disease, hypertension, obesity, kidney disease, amputation of limbs and death. The side-effects of diabetes are usually much more harmful than the diseases themselves. Type-1 is a disease that afflicts many babies and young people and is sometimes known as “juvenile diabetes.” It is an autoimmune disease, such as multiple sclerosis or rheumatoid arthritis, and is totally different in its cause from type-2, which is caused by atrocious eating habits and obesity. Type one usually happens when the body’s own immune system attacks the pancreas, rendering it useless insofar as insulin production is concerned. The consumption of cow’s milk correlates very closely to contracting the disease by babies and very young children. 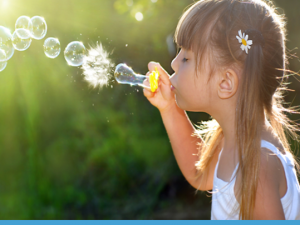 The latest study on type-1 and sunlight comes from Denmark, where researchers assessed the association between exposure to sunshine during gestation (pregnancy) and the risk of type 1 diabetes in Danish children at the age of 15 years. [v] The results were that more sunshine during the third gestational trimester was associated with a 40% reduced risk of contracting the disease at age 15. Sunlight is so important for nearly every aspect of health. Be sure to take advantage of it, as it may be waiting right outside and beckoning you. [i] Staples JA, Ponsonby AL, Lim LL, McMichael AJ. Ecologic analysis of some immune-related disorders, including type-1 diabetes, in Australia: latitude, regional ultraviolet radiation, and disease prevalence. Environmental Health Perspectives 2003;111:518-523. [ii] Sloka S, Grant M, Newhook LA.. Time series analysis of ultraviolet B radiation and type-1 diabetes in Newfoundland. Pediatr Diabetes 2008;9:81-6. [iii] Sloka S, Grant M, Newhook LA. The geospatial relation between UV solar radiation and type 1 diabetes in Newfoundland. Acta Diabetol 2010 M;47:73-8. [iv] Mohr SB, Garland CF, Gorham ED, Garland FC. The association between ultraviolet B irradiance, vitamin D status and incidence rates of type 1 diabetes in 51 regions worldwide. Diabetologia. 2008;51:1391-8. [v] Ramune Jacobsen, Peder Frederiksen, Berit L. Heitmann. Exposure to sunshine early in life prevented development of type 1 diabetes in Danish boys. Journal of Pediatric Endocrinology and Metabolism. December 2015 ISSN (Online).